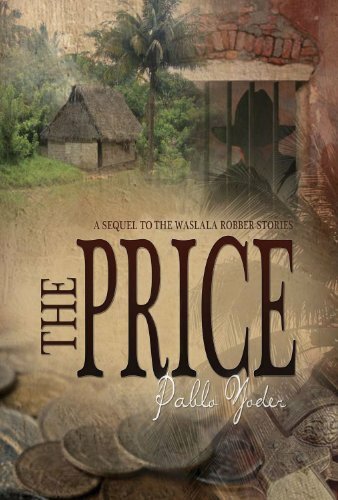 The Price is a sequel to Angels Over Waslala and Angels in the Night. In Nicaragua, life is primitive. Drugs, alcohol, and thievery are a way of life. The Yoders experienced the dark side of life as they sought to share the Lord Jesus with these beautiful people trapped in the grip of vice and its consequences. They confronted this evil by demonstrating the love of Christ. In The Price, Pablo graphically pictures the lives of some of the robbers. Some of them met very violent death, and others experienced transformation when they met Jesus. Pablo Yoder grew up in the Shenandoah Valley of Virginia. As a lad he moved with his family to Costa Rica. After marriage, he and Euni were blessed with six children. They moved to plant a church in Nicaragua. Difficulties mounted and between 1995 and 2000, they experience 40 robberies. Today Pablo continues to write about their encounters. As a lover of nature, he also writes about the colorful wildlife of Central America. He has written two books filled with colorful photos of Nicaraguan wildlife. Other books he has written are: Angels Over Waslala, Angels in the Night, The Long Road Home, The Work of thy fingers, My Father's World, and The Death of a Saloon.